The Sourced Report has now been providing insights into the Christchurch IT sector for two and a half years. The data we have collected over this time period allows us to provide Canterbury technology professionals with the most up to date trends and changes that are occurring in your local market. Hiring intentions remain positive, with 71% of employers intending to recruit for an IT role in the next six months, a slight increase on the same number from September. Companies have also reported an increase in the number of roles which have been a struggle to fill, with more employers than six months ago reporting that one or more IT vacancies have not been filled. Along with the normal challenges of finding the right skills blend, this also highlights the increased focus on cultural fit amongst employers. shown cultural fit as very important, this is the first time that 100% of employers have assigned the highest level of importance to hiring a candidate that fits their company culture. 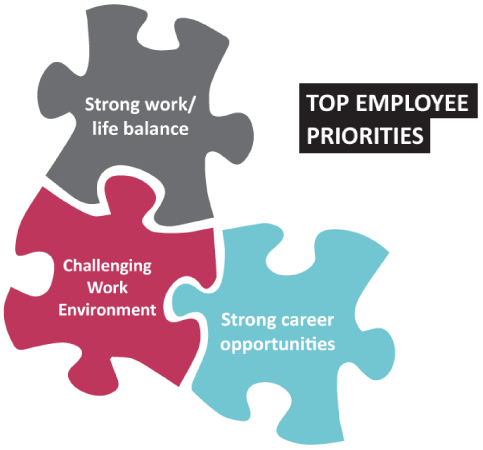 This shows that employer priorities are fairly in tune with those of their employees, as they both place a strong level of importance on the “softer” aspects of work. 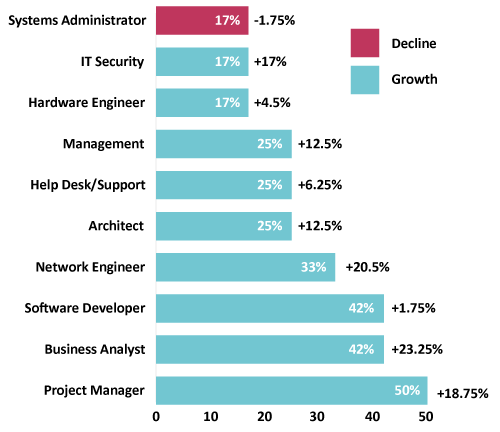 Replacement of staff has pulled ahead as the top reason for hiring IT staff, increasing by 25% on September’s results. Though this significant increase is likely down to employees getting itchy feet over the New Year period, it reflects a long-term trend, with this metric having slowly increased over the past two years. When hiring, employers continue to use a mixture of recruiting tools, including recruitment agencies, external advertising, professional networks and internal promotion. Most employers see salary as a fairly important factor in the hiring process, and all employers stated that permanent employees made up the majority of their placements as opposed to contractors. Comments from over half the respondents also reflected this, with most saying that the ability to provide for their family and live a comfortable lifestyle were important, but that salary was not so important beyond this. to increase along with their peers. 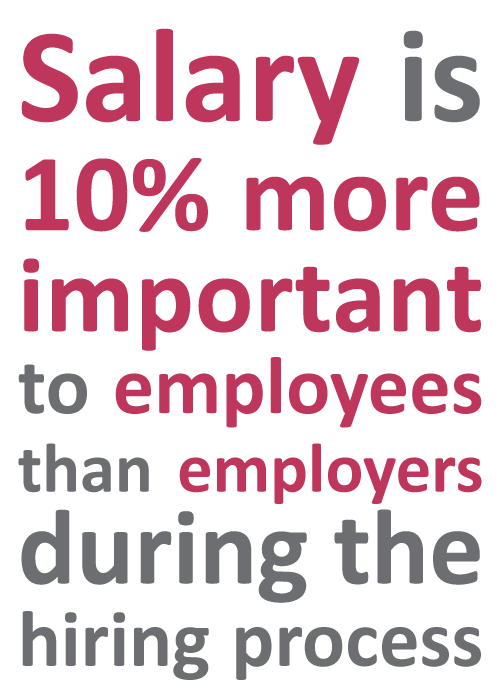 However, interestingly, employees see pay as 10% more important in the job seeking process than employers do. This, suggests a disparity between employee and employer in the value of work, and a gap between where some employees position themselves on the pay scale as opposed to what exists across the industry. Welcome to the fifth Sourced Report – your insight into the Christchurch IT sector. These six-monthly reports provide Canterbury employees and employers with an insight into the emerging trends in the Canterbury IT market. 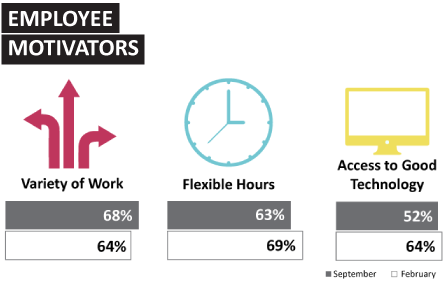 to good technology were once again the top three aspects that employees most enjoyed about their roles. When looking for a new role, the top three factors that people look for are strong work/ life balance, a challenging work environment and strong career opportunities, also in keeping with the previous report. priorities and recoup the financial benefits that come with contracting. One significant change from the last survey is the number of employees that are looking to move in the next three to six months decreasing by 18%. This is likely due to more employees being placed in new roles over the New Year’s period and still going through their honeymoon period. ln regards to employment situation, 75% of employed respondents identified as full time permanent employees, whereas 15% identified as full time contractors. Part time work across permanent and contract roles accounted for 10% of employed respondents. survey respondants. 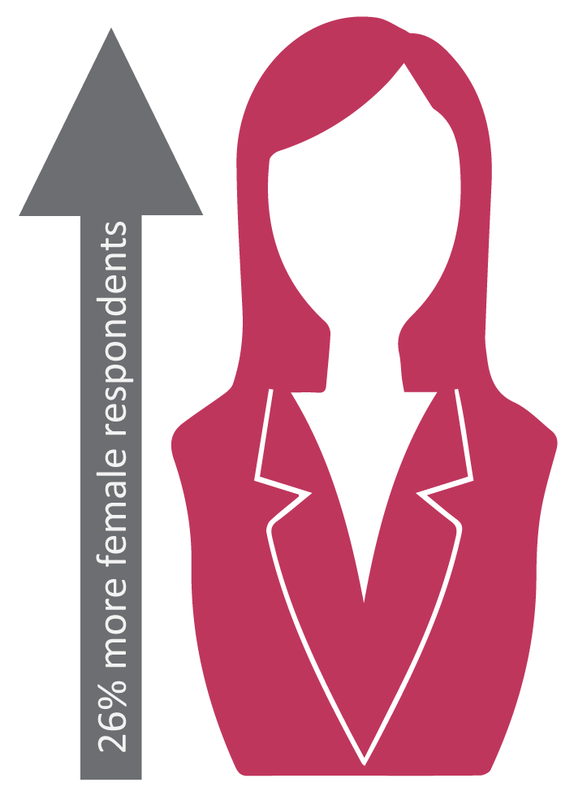 We have seen a 26% increase in women participating in the survey, which is testament to the greatwork that local organisations are doing locally to attract a greater diversity to the Canterbury technology sector. looked at in the longterm, this change also explains other trends, such as the importance of pay as a motivator decreasing as the workforce ages, with that generation starting to get married, buy houses and have families. This has also had an effect on the other end of the age scale, with the numbers of respondents over 50 years old having dropped by 19%. This is something the industry needs to be cautious of as this trend continues to develop. project and business life cycles, and the results overall are reminiscent of the Canterbury technology scene in 2012. The IT sector is still seen as crucial to the Christchurch rebuild due to the way in which it supports other industries. However, with many companies now moving back into the CBD (as indicated by 15% more employees now receiving parking spaces) we expect this to decrease. that there is a strong consensus that viable start up companies should be supported in their endeavours by the Canterbury IT community, and also by central government. Common suggestions included an increase in government tax benefits, financial incentives, mentoring programmes and incubators.